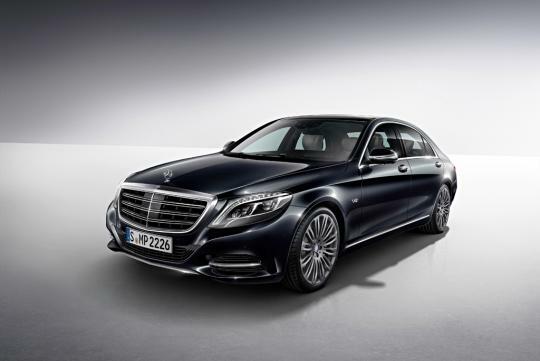 The range topping S600 is powered by a 5,980cc twin-turbo V12 power unit, rated at 530bhp and 830N, of torque, joins an already successful S-Class lineup that is also available exclusively with long wheelbase and with a luxurious package of equipment and appointments. Despite offering bespoke luxury ambience and commuting experience, the luxury sedan is also green at heart as it is equipped with an ECO start/stop function as standard for the first time while also meeting the stringent Euro 6 emissions standard. This allows the sedan to return a combined fuel consumption of 11.1L/100 km, which is reported to be a 21 percent improvement over its predecessor. 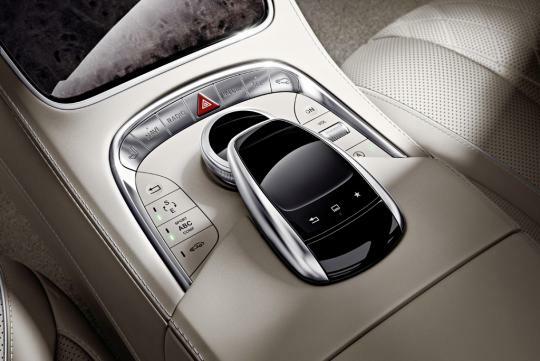 The comprehensive standard specification fitted to the S600 reinforces its role as a flagship model. The LED Intelligent Light System, the MAGIC BODY CONTROL suspension with ROAD SURFACE SCAN and the Driving Assistance package Plus, for example, all come as standard. The latter comprises Active Lane Keeping Assist, Active Blind Spot Assist and PRE-SAFE Brake, amongst a library of systems. 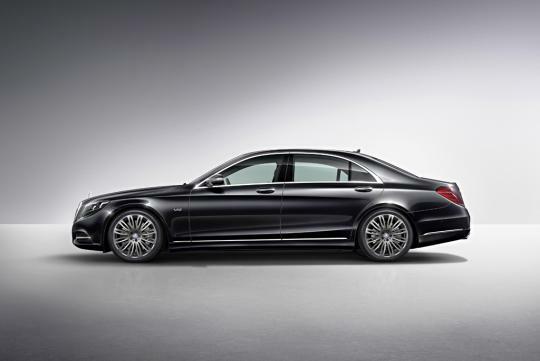 Also, despite being relatively new, the S-Class will be offered with refinements from March. All the functions of the head unit can be controlled by fingertip gesture, as with a smartphone, from the new, optional touchpad. 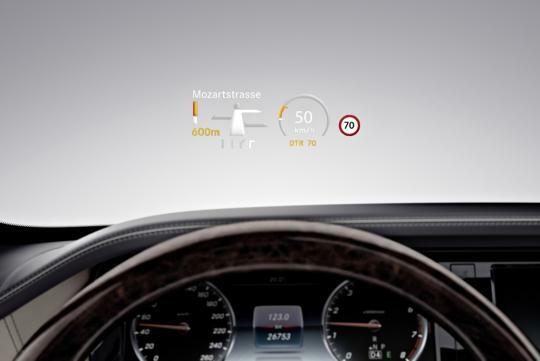 In addition, the touchpad allows letters, numbers and special characters to be entered in handwriting - in any language that is available on the head unit. The COLLISION PREVENTION ASSIST system will be replaced with the COLLISION PREVENTION ASSIST PLUS. The adaptive Brake Assist system, can now autonomously apply braking at speeds of up to 200km/h, reducing the severity of collisions with slower or stopping vehicles. The system also brakes in response to stationary vehicles at a speed of up to 50km/h, and is able to prevent rear end collisions at up to 40km/h. Handsome, green and safe - what more can the man with everything else ask for? 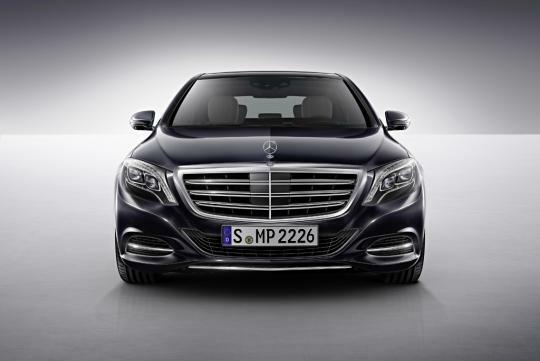 Why do they need an independent premier for the S600 when they have already started selling the S500L. Its the same thing with just a larger engine isn't it? C & C is selling S500L at $600K. 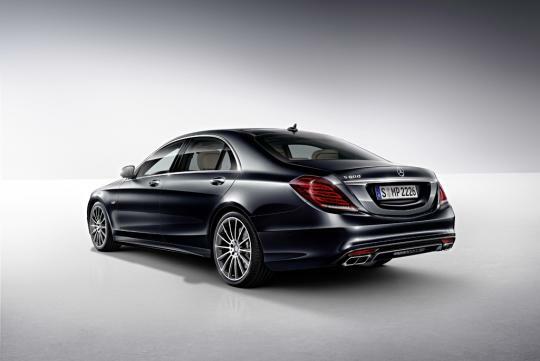 The S600 will push the price to the supercar range. Only difference is that you will be getting a bread-&-butter brand. They’ve done it again. 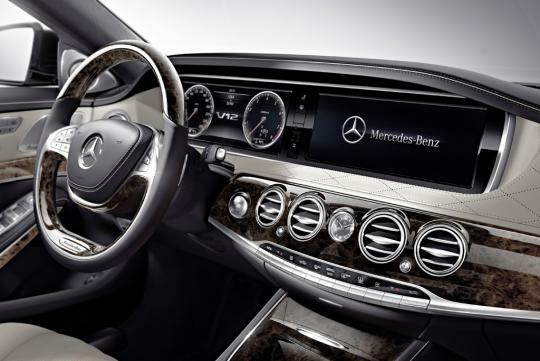 Every generation, Mercedes Benz takes it up a notch and outclasses their competition in the luxury car segment. The interior looks like a private jet on wheels. the two spoke steering wheel is a joke. The steering wheel is very LORRY like! 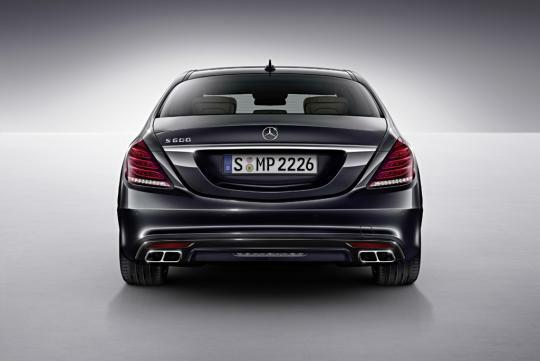 the exhaust pipes are too sporty for a luxury limousine - to me it ruins the elegant rump. nonetheless a good effort, can't wait for the pullman and ultimate 'maybach' versions!